I just received a Bluetooth mini speaker for review. It's the Bose SoundLink Mini, retailing at S$299. Once I paired to my smartphone, the sound that comes out of it blows my mind. Like many lay people, I always thought Bose products are generally overpriced. But the Bose SoundLink Mini changes my perception. The Bose SoundLink Mini bass sounds like it comes out from bigger speaker units. The mid-range and treble are equally capable without sounding strained. Design-wise, the speaker is elegant, encased in thick aluminium body which contributes to the hefty weight of 680 grams. Although Bose offers an optional soft cover casing, I would have second thoughts about bringing the speaker for outdoor rough use. The provision of a non-lock contact-based charging dock further confirms my deduction that the SoundLink Mini is primarily designed for indoor use, where you can swiftly lift the speaker off the dock and place it anywhere to your whims and fancy (its battery can last 7 hours). In addition, the speaker charger uses the round DC pin, unlike most portable speakers that charges with USB port. It also does not support Bluetooth voice profile, so you will not be able to use it as a speakerphone. Frankly, the Bose SoundLink Mini sounds so good, it could replace your unslightly home speakers. 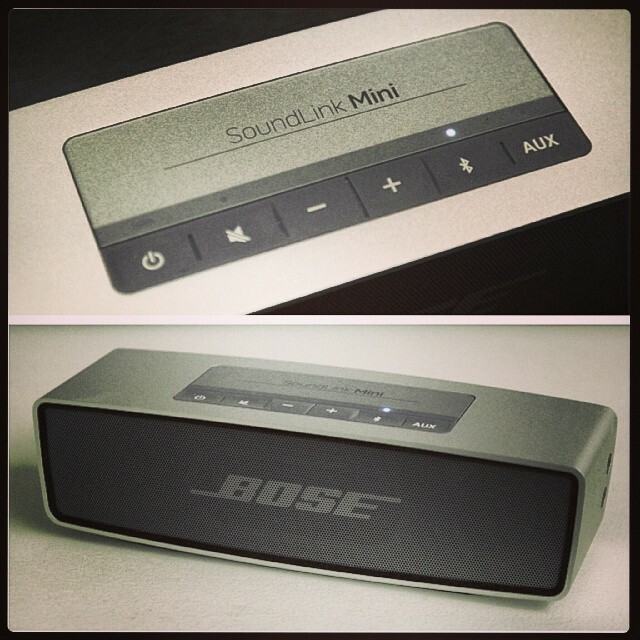 Just plug your sound system to the 3.5mm auxilary input port on the Bose SoundLink Mini. If you need a portable speaker that delivers big stereo sounds with real bass feel, this is it. The Bose SoundLink Mini raises the bar of what I could expect from mini speakers: its sound quality can actually match larger non-portable speakers. Don't believe me? Head down to the Atlas Experience Showroom and test it.